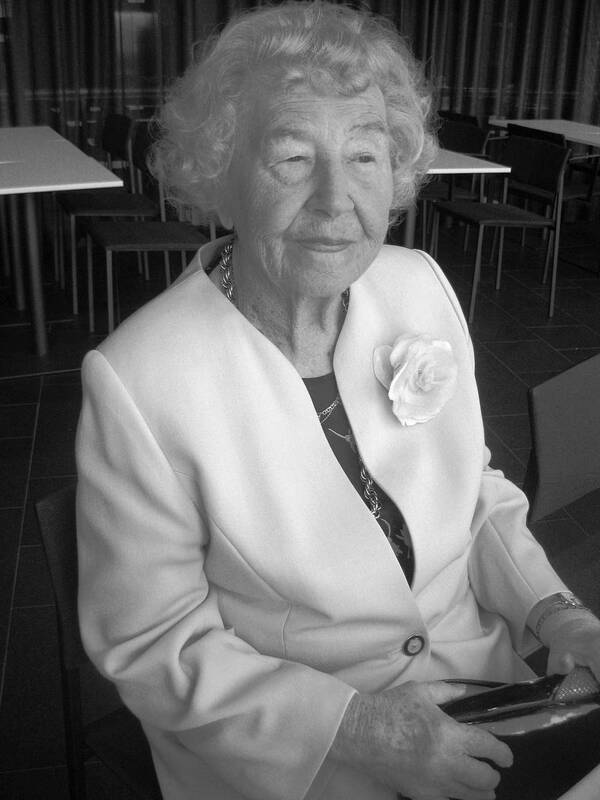 With sadness, we heard recently that Sibelius Academy Rector (1981-1987) and past ISME president Ellen Urho has passed away peacefully on October 17th in Helsinki, at the age of 98. Her ISME presidential period lasted from 1984 to 1990 and she was an honorary life member. Ellen was the organising chair of the 1990 ISME World Conference in Helsinki, where we return in 2020. Elina Laakso, Vice Dean of the Sibelius Academy (Uniarts Helsinki) , said "Ellen lived a long, wonderful and quite remarkable life. She was revered by all of us who had the good fortune of knowing her well and being considered by her as a close colleague or friend. A memorial service was celebrated in Ellen’s honour on November 2nd - for the family only, and Sibelius Academy had flags flying half mast." Honorary membership of ISME is reserved for very special people in music education. Ellen Urho is one of those special people. Her energy, clarity of thought and persuasive powers belie her years; her smile is hypnotic, the respect in which she is held is huge: no wonder her term of office as President of ISME and the conference in Helsinki in 1990 were so outstandingly successful. The fascinating record of the preparation and organisation of the XIXth ISME World Conference is now obligatory reading for any aspiring ISME conference director, but also an invaluable text for any international society facing the traumas of organizing a world conference against a background of political, economic and financial instability. The professional and financial success of the Helsinki conference was a personal triumph, but such is Ellen Urho's nature that she would be the first to say it could not have happened without a dedicated team behind her. But therein lies the clue to her success: the leader who knows who to choose and what to delegate. Other times and other places must be used to eulogise about the Helsinki conference, for a citation to honour a distinguished colleague must primarily bear witness to achievements beyond the transitory. Ellen Urho's influence on music education in Finland is already a legend. Through the years, after graduating from Jyväskylä University, the Sibelius Academy and completing her Master of Arts degree at Helsinki University in 1950, her career path could be said to be conventional - elementary (primary) school classroom, music department, training college, conservatoire and thence to the Rector's chair of the Sibelius Academy via a highly productive period as teacher of didactics and methodology. It was during this time that she placed her experience on record in many excellent publications. Thereafter followed the dissemination - presenting papers at conferences, seminars, symposia and universities on the international circuit. There can be few music teachers in Finland in recent times who have not been influenced at some stage in their career by Ellen Urho: likewise, there can be few professional music organisations in Finland which have not been helped in some way by her, but we, in the International Society for Music Education honour Ellen Urho for her outstanding achievements in music education beyond the bounds of her beloved country, and express our gratitude and high respect for her in this way. All at ISME send their sympathies to Ellen's family and friends. If you have memories of Ellen Urho, please feel free to add them in the comments section below.